This small (approximately 1") Arizona scorpion was found north of Flagstaff, Arizona. This site copyright Rich Ayrey 2008-2010 Flagstaff, Arizona. Close to the Grand Canyon. 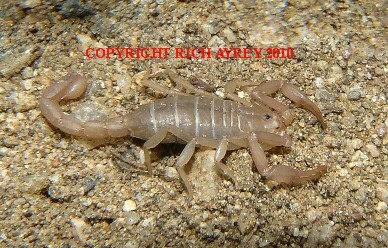 This Arizona scorpion page last updated 06/07/10.